Corie Ball is a Furniture Flip veteran (she’s participated in all three events). In fact, she won awards in both previous Flips.Although her professional background is in retail, Corie definitely has an artist’s mind-set. “I just get ideas in my head and then Google them and think, ‘I could make that,’ and then I do,” she says. She’s also an avid recycler. This year, she’s partnering with Chris Jensen, a friend and co-worker at Trader Joe’s. Chris is a welder, so his skills come in handy when it comes to re-purposing. Lynne Cahail may not have had a design background professionally or educationally, but she has had a lifelong love of art. She also has had a lifelong love of thrift stores. She grew up with her grandparents, and her grandmother would frequently take her to the Salvation Army to shop. By day, Cahail is the wedding coordinator for Tate & Tate Catering. In her spare time, she also loves thrift shopping, hosting “crafter-noons” (where friends gather to socialize and work on craft projects together) and adventuring in the Pacific Northwest with her husband and toddler (#cahailadventures). Tackling a project for the Furniture Flip seemed like a natural fit. For more info, call 541-390-9958 or email Lynne.cahail@gmail.com. Chris Gorman has been creating things since she was 5 or 6 years old. But it was her involvement with the Bend Area ReStore that kick-started her passion for repurposing. Since then, Chris’ ideas have translated into countless design projects produced by the ReStore CUP team (Creative Upcycle Program), which Chris heads. The CUP team takes broken, discounted or outdated ReStore merchandise, and then adds paint, fabric, hardware and more to produce funky home furnishings and décor. The team has a dedicated workspace in the ReStore warehouse; the finished pieces are sold at the Bend Area ReStore. Joining Chris for this year’s Flip are two other CUP team members: Richard Nesslein and Dee DeAngelis. For more info, call the Bend ReStore at 541-372-6709. A native Central Oregonian, born in Bend and raised in Redmond, David is an avid fly fisherman and lives for outdoor activities. His career path started with logging, detoured past driving a truck and settled on being a mechanic for Redmond School District. As for the impetus to tackle the Design Challenge: “I’m not so sure that I chose to take part in this event — it was more like it chose me,” David says. 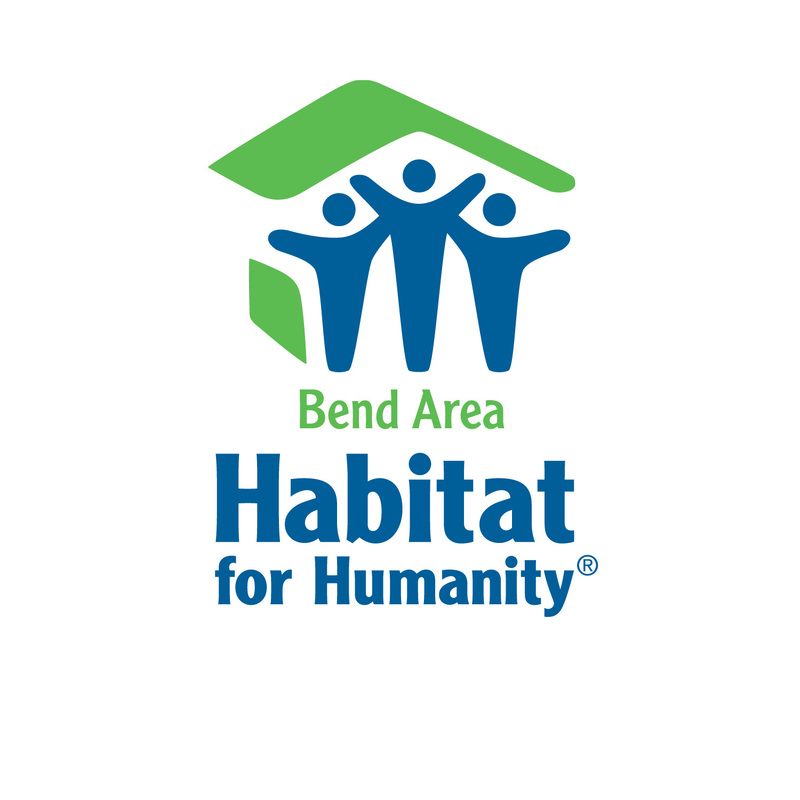 “A close friend is the volunteer coordinator for Bend Habitat; it’s because of her that I decided to participate in the Flip. Rhonda & Don Barney have enjoyed a lifetime of tinkering, building and DIY that has lead them to creating Grizzly Ridge Upcycle, a unique Upcycled Art Gallery in Sisters. Rhonda runs the gallery and helps Donnie with project design and painting or sewing as needed. Lately, Rhonda has been experimenting with old inner tubes, and has several styles of handbags she has designed and created from inner tube rubber. She has also been tinkering with some assemblage art using colorful old rusty metal and hay bailing wire. For more info, call 541-588-3070 or visit www.grizzlyridgeupcycle.com. A design professional at Ascent Architecture & Interiors, Tia Hanson has lived in Oregon since the age of 4. She moved to Bend in 2016 with her husband, Alex, and two sons, Jasper and Declan. Designing human environments is an ideal fit for Tia, as it combines her undergraduate studies in human development with her graduate studies in interior architecture and design. Additionally, she loves color and texture, perfectly straight lines and witnessing the transformation of a space and its users. Tia also appreciates Bend’s service-oriented community – an attitude she adopts in her own life. Tia decided to participate in the Furniture Flip (and Habitat’s mission, by extension) for two reasons: She believes every individual deserves comfort and compassion and that we must work to provide that for each other. She also thinks power tools are great! Tia’s Flip partner, Seth Ehlinger, is also a design professional at Ascent Architecture & Interiors. He’s lived in Oregon his whole life – most of it in Bend. With 15 years’ experience in the architecture/construction industry, it’s no surprise he also enjoys this type of work in his personal time. Throughout the years, Seth has built furniture as a hobby, including some commissioned pieces, using various methods and materials. Seth has a passion for creating beautiful pieces out of unwanted items, so the Habitat for Humanity Furniture Flip is right up his alley! Chelsea Johnson is the force behind the blog Making Manzanita, where it’s all about crafting a simple life you love. She can usually be found with Cal, her little man, on her hip and a paintbrush in her hand. Chelsea loves to inspire her blog readers with home-decor tips, craft tutorials, renovation stories and simple homemaking advice. She works in commercial real estate by day, but at night she’s always busy blogging, crafting and making rustic home decor for her Etsy Store, Manzanita Exchange. Logan & Chelsea and their son, Cal, love living in Bend and have been busy renovating their fixer-upper together. Logan and Chelsea are avid ReStore shoppers and love a good DIY, so they decided to participate in this event and support the good cause of Habitat for Humanity. Chelsea will be sharing about the transformation of this pallet to outdoor herb garden on her blog! Mixed-media artist Lloyd McMullen is no stranger to the world of up-cycling; far from it. Longtime Bendites are probably familiar with a popular event that she helped conceive and run for many years: “Trashformations,” which challenged artists to turn scrap materials sold at Pakit Liquidators (the space now home to DIYcave) into works of art. For more info, visit www.facebook.com/castawaysclothing. If anyone is ideally suited to participate in the Furniture Flip, it’s Denise Rowcraft. By day, she manages the Rethink Waste Project for The Environmental Center. As such, she loves supporting community efforts to prevent waste through upcycling. Even before Sally Ragsdale-Smith retired from a career in construction engineering a year or so ago, she did as much volunteering as she could — for many years. A lifetime member of the VFW (Veterans of Foreign Wars), she also helped raise funds for what is now Saving Grace and has donated a quilt to Healing Reins Therapeutic Riding Center for its annual auction. She even met her husband, Jeffrey Smith, doing volunteer work at a Moose Lodge. An avid recycler for 40-plus years, Sally’s a county girl at heart: She and Jeffrey have seven gardens, raise their own chickens and do their own repair work. They also make things for family, friends and neighbors. “With my background, I know how things go together and work,” she says. Jeffrey’s experience as a pressman, woodsman and hunter also come in handy. “I have 13 grandchildren and two great-grandchildren, and I love teaching them about gardening and repurposing things,” Sally says. The name Stemach Design is well-known in our community; the Bend-based firm has received numerous awards for their thoughtful, sustainable approach to architecture, renovation and product design. Fans of the Bend Area Habitat ReStore building should be especially familiar with their work: The Stemach Design team donated many hours and a tremendous amount of creative effort in overseeing the transformation of the former Backstrom Builders site into the current ReStore. A few Stemach touches at the ReStore: the undulating exterior cedar-plank siding (made from reclaimed cedar decking); the custom chandelier made of reclaimed wood and copper piping that greets visitors in the store’s entryway; and the former metal roofing reused as siding. This is the third year that Stemach owners Stacey and Rachel Stemach have participated in the Flip. For more info, call 541-647-5661 or visit www.stemachdesign.com. Sister duo Lisa Rindfleisch and Julie Story spent their youth surrounded by time-worn treasures: Their parents owned a second-hand store in Prineville. These days, Julie says, “Our work is defined by studying the unlimited possibilities of an object that is potentially one step from the landfill, and the accompanying thrill of taking that often unloved and unwanted item and turning it into something of value. “It sets us on fire, she adds. “We enjoy using our combined artistic and organizational skills, honed over the years, to create something fabulous out of something less than fab. For more info, contact Julie Story at jsbulldogmom@gmail.com. Danielle Sullivan may have two science degrees, but she has the heart of an artist. A member of the Plein Air Painters of Oregon and Oil Painters of America, she’s been producing lush landscape paintings in the Russian impressionistic style since the mid-‘90s. But her love of the arts goes much further back. She decided to participate in the Furniture Flip for two reasons: She’s a big supporter of Habitat for Humanity; she’s also an avid up-cycler. “When I read about the Flip, I got excited,” she says, “because I do this for fun as a hobby anyway. I’m really into not throwing things away, and restoring, recycling and upcycling. I hate waste and like to be creative — it’s fun for me. For more info, contact Danielle at sulli2428@aol.com. The Tamarack Program is a self-contained program to support middle and high school students 11 to 19 years old in Bend-LaPine Public Schools who struggle with challenging behaviors and mental health needs and struggle to access a regular educational setting. Its students work individually to understand their own strengths and challenges and develop plans for navigating their futures. “Working on projects to support the ReStore and the greater Habitat for Humanity Organization has been a wonderful way for our students to become positively involved in the community that they are growing into as young adults,” says project leader Dan McNairy.